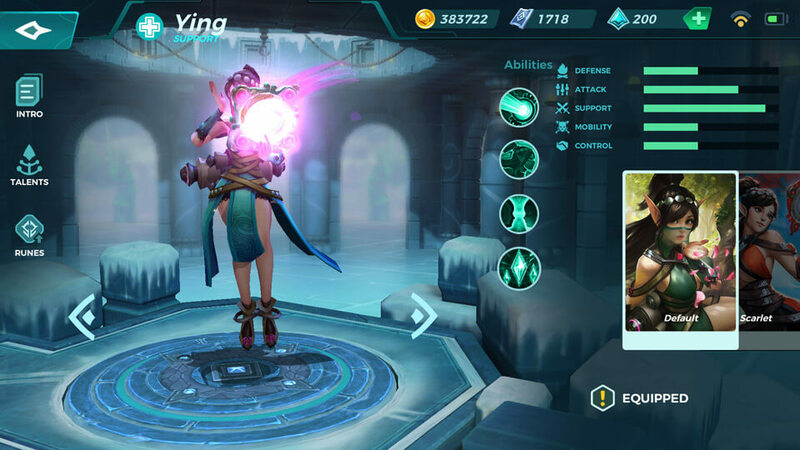 Ying is a mystical support with exceptional mobility. 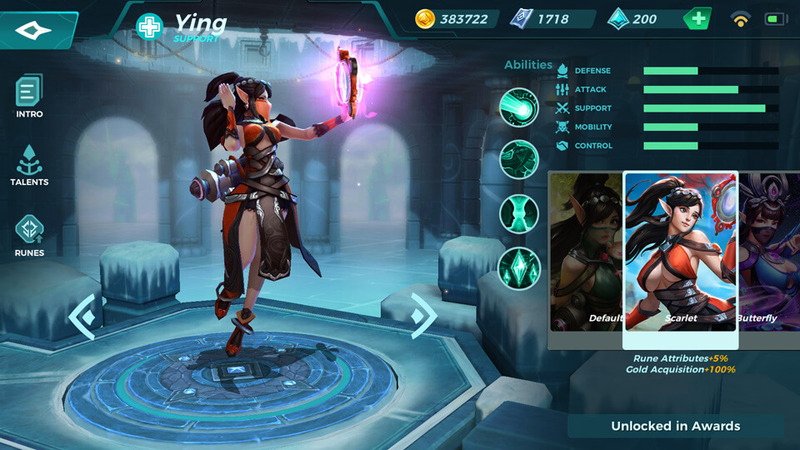 Her illusions heals near by alies and can be detonated to damage foes. CD: 0.8s. Fires a beam that penetrates targets and deal 200 damage 4 times. CD: 5s. Create a illusion that heals near by alies every seconds for 200 for a max of 12. 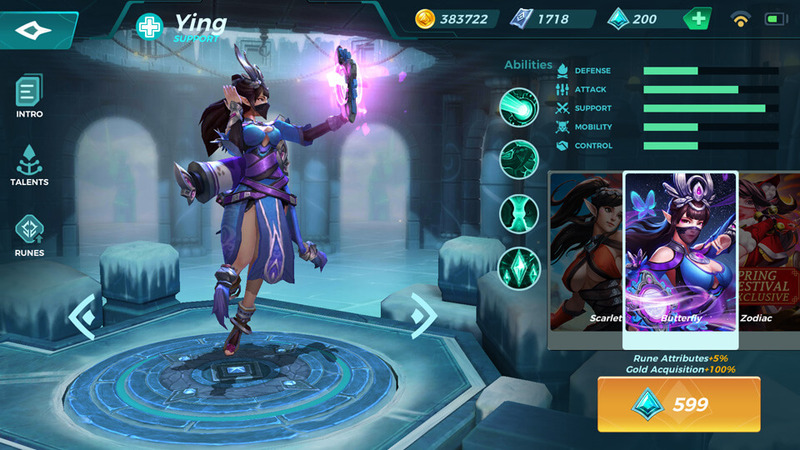 Bonus Damage: Health of illusions will be the same as Ying’s, but they take 100% damage. CD: 2s. Swap locations with an active illusion. Can not use this ability when no illusion are active. CD: Energy Gained. Apply a buff to all alies to heal 500 HP per second for a maximum of 8s. 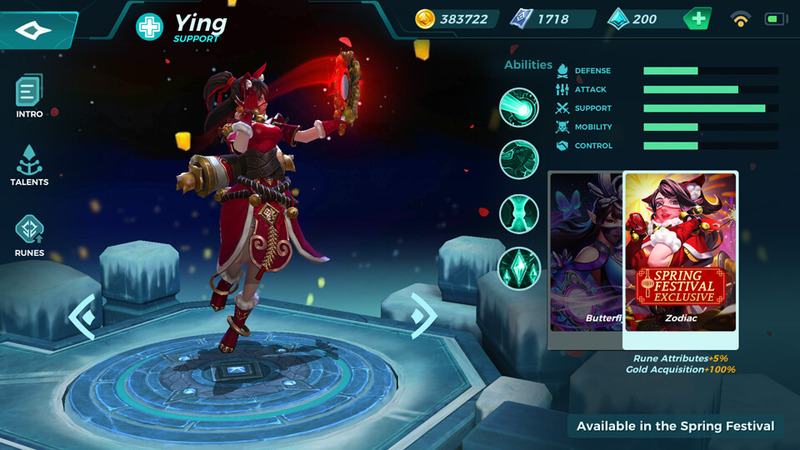 Bonus Damage: Refresh the cooldown of Demesional Link.